A University of Texas Health Science Center at San Antonio researcher is currently embarking on an audacious research effort to leverage the body’s own immune system to fight ovarian cancer, and recently received a sizable $900,000 grant from the Ovarian Cancer Research Foundation to continue research. 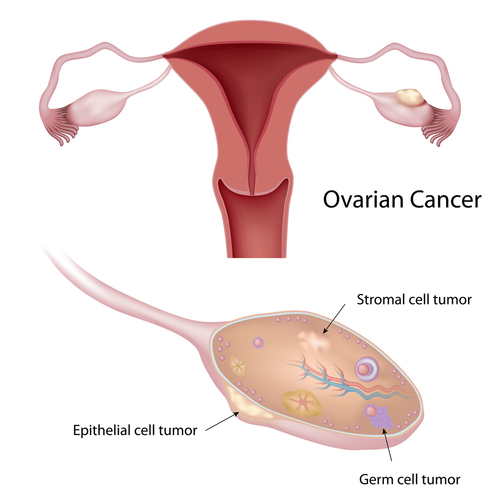 Ovarian cancer is recognized as the deadliest of all gynecological cancers, since it tends to be difficult to diagnose at first, and equally difficult to treat or cure in the later stages of the disease progression. Dr. Tyler Curiel, M.D., M.P.H., an oncologist and internationally recognized immunologist at the Health Science Center’s Cancer Therapy & Research Center, believes there is an opportunity, however, to fight ovarian cancer using the body’ own immune system, since the disease is known to stimulate a strong anti-cancer immunity in the body, in spite of the fact that the body’s immune system is summarily shut down by the cancer after this initial response, leading to a progression of the disease. Curiel believes that if the natural immunological response can be sustained in a patient, that novel ovarian cancer therapies can prove much more effective. Dr. Curiel’s current approach has been to clinically test a series of promising therapies that could prove to be highly effective. “As we understand better the immune impediments in ovarian cancer, we can develop a program to combine our most successful approaches,” Dr. Curiel said. “We expect to produce better clinical outcomes while limiting toxicities.” In particular, Curiel’s team will focus on three key areas in its research of immune-based treatments: reducing immune impediments to ovarian cancer immunotherapy, blocking the molecular mechanisms that drive tumor growth and inhibit anti-tumor immunity, and using new generation adoptive T cell transfers. It’s worth noting that Dr. Curiel’s approach to treating and eventually curing ovarian cancer is very much on the vanguard of cancer treatment, as we see a continued advancement of cancer immunotherapy approaches moving into the research mainstream for the disease.